The diversification of WEBIZ’s services enables it to provide the top notch website designing, web development and SEO services to new and rising businesses around the world. While being a part of the online world and observing its dynamics. WEBIZ has realized the importance of business blogs for virtually all online businesses. 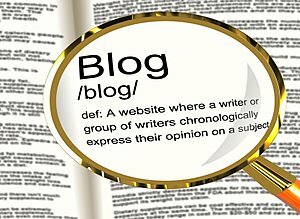 It does not matter whether you have a small or midsized business or a large enterprise, business blog can make a difference for you. However, the most important thing for any business blog is to be professional and a true reflection of the business’ identity itself. WEBIZ has some of the best website designing professionals providing uncompromised services to develop impressive business blogs that have an appeal. Too often businesses would focus too much on posting latest and interesting content, which is perfect in terms of SEO marketing, but they completely forget about the aspect of blog design. Blog designs hugely impact their traffic. Regardless of how cool your content sounds your visitors will pay less attention due to a bad design. Moreover, while focusing too much on design several companies would completely overlook the importance of incorporating their branding aspects into the blog design. At WEBIZ our web designing professionals blend their website designing, web development and SEO skills to create professional looking business blogs. These blogs are appealing and full of life when it comes to content and design. After understanding your business in detail our professionals work devotedly to come up with a business blog design that fully reflects your brand. We incorporate the best call to actions and link your blog to the most optimized pages of your core website. Our combined website designing experience of decades has put us in a position that we can create a blog for any type of business. If you think a business blog is just as crucial for your website as it is for some of the top ranking business in the world today, we highly recommend you to get in touch with us right now and let WEBIZ professionals make your business blog a traffic generating machine for your core business.